Do you remember back in 2005 when everybody was singing along to Daniel Powter’s ‘Bad Day’? Well, I was certainly one of those people, and to be honest, this still pops up on my playlist from time to time. I remember a part of the music video where the man and the woman take turns drawing on a billboard – the woman draws a rainy cloud and the man draws an umbrella underneath. For some reason, that image stuck in my head back then, and that became my inspiration for day 22 of the challenge. 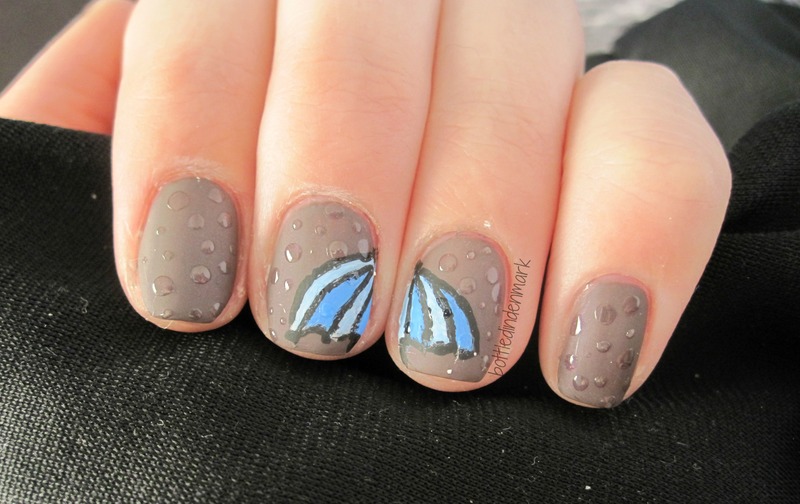 I’ve had the idea for these raindrops in my head for ages now, so I’m really glad I finally found a way to use them.